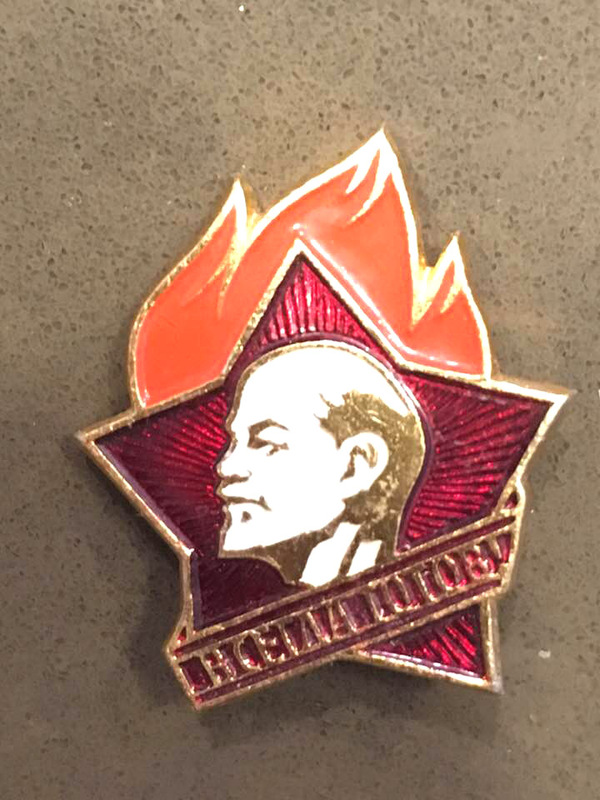 Communist Young Political School Soviet Pin, “Komsomoletz". Worn by teens 14 years of age and older on school uniforms. Manufacturer: Moscow (Soviet - USSR Era-Epoch), (Badges & Pins Made in Moscow and St. Petersburg "Monetniy Dvor"). Approx. 30 mm in Height (incl. eyelet) & 30 mm Length Material: aluminum coated in gold plated color with cold enamel.